Intel will no longer sponsor the Science Talent Search, the nation's oldest and most prestigious science fair for high school students. The competition's past participants have gone on to capture eight Nobel Prizes, a dozen "genius grants" from the MacArthur Foundation and to head up tech companies and universities. Finalists get to meet with the president and other top officials in government, business and academia. The annual competition awards a total of $1.7 million in prizes, with the first-place winner collecting $150,000. 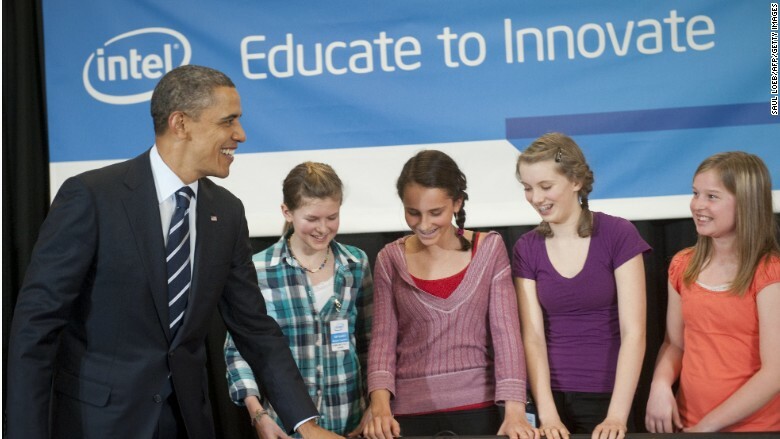 "The Science Talent Search stands at the center of our nation's effort to promote science and research to the next generation, and there is no doubt in my mind that it has been instrumental in encouraging the next generation of scientists, engineers and innovators," said Craig Barrett, the former Intel CEO and current trustee of the Society for Science & the Public, which puts on the talent search. Westinghouse sponsored the competition for its first 50 years, until that company transformed itself to become CBS (CBS). So in 1997 Intel (INTC) jumped at the chance to assume the sponsorship. 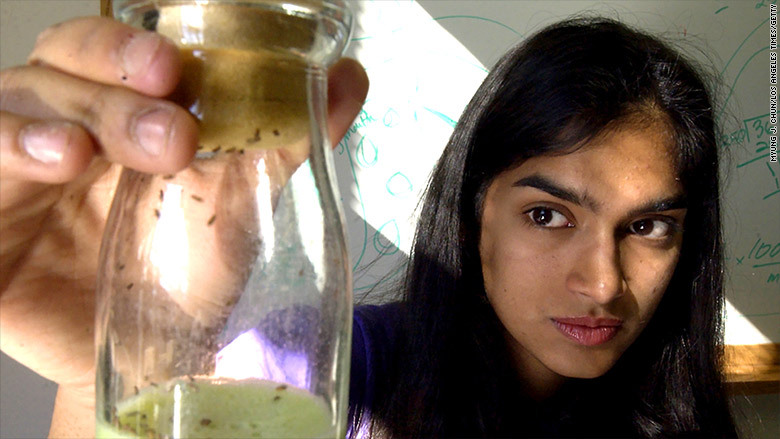 Michelle Rengarajan, a 17-year-old student from Pasadena, was one of the recent finalists in the Intel Science Talent Search. The chipmaker said it will drop the sponsorship in April 2017, 20 years after it began. It's time for the company to move on, said Intel spokesperson Gail Dundas. "That's a fairly long corporate sponsorship," she said. "We've greatly increased the prize money. It's been a great opportunity for Intel and a great partnership, and now someone else can get that opportunity." The society is searching for a new sponsor that will commit to pay at least $6 million in 2018. Potential sponsors have until November to submit their proposals to the society.